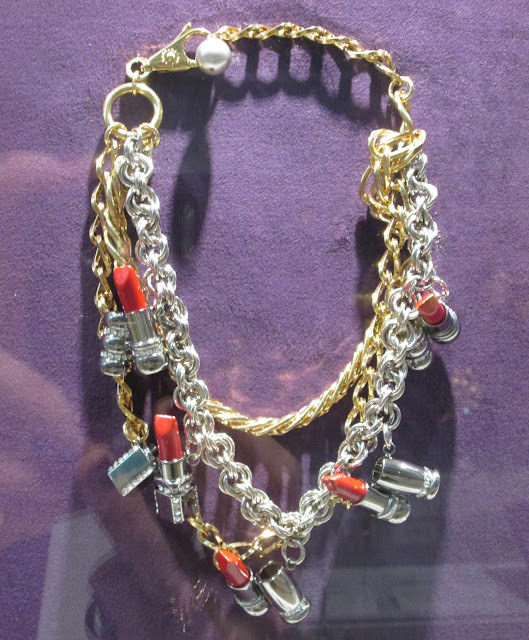 This 2007-08 necklace is by Chanel. Amazing! 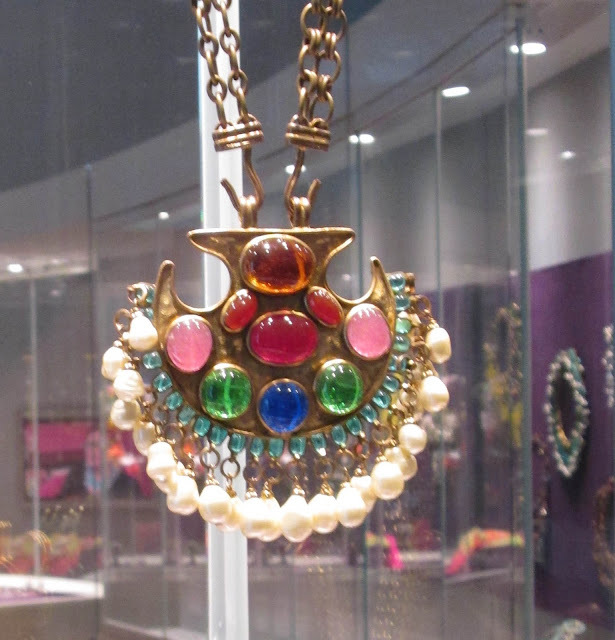 During the preview of Fashion Jewelry: The Collection of Barbara Berger, Ms. Berger was asked a question by one of the writers, one question turned into two from someone else, and pretty soon an impromptu Q&A session was taking place alongside one of the jewelry cases. I wrote down what Ms. Berger said as fast as I could because it was a fascinating primer on how to collect costume jewelry from someone with a world-renowned collection! A stunning 1955 necklace by CIS/Countess Zoltowska. Barbara noted that in some ways it can be harder to take care of costume jewelry than fine. For instance, she said it’s difficult to replace a lost stone. She also said she doesn’t believe in restoring a missing stone, she lets the piece remain as it is. No, they are not, says Barbara. They are light! Does she wear big jewelry all the time? No, she admits she doesn’t wear her jewelry much during the day, she tends to wear it more at night. A wristlet by Chanel, 2000. Can today’s collector put together a collection like hers? Detail of a Maison Gripoix for Chanel necklace, circa 1980-1990. Where should today’s collector go to look for pieces? She was very clear about this: Go to flea markets! In Paris, she frequents the Marché aux Puces, in Manhattan she recommended the Chelsea Flea on W. 25th Street, and in Brooklyn she likes the Brooklyn Flea in Williamsburg. Interestingly, she said the only errors she ever made in buying were when she couldn’t see the piece in front of her, to hold it and look it over. For that reason she sounded like she was not a big proponent of eBay (and I can see her point, but I have had good luck there on three separate vintage costume jewelry buying occasions!). 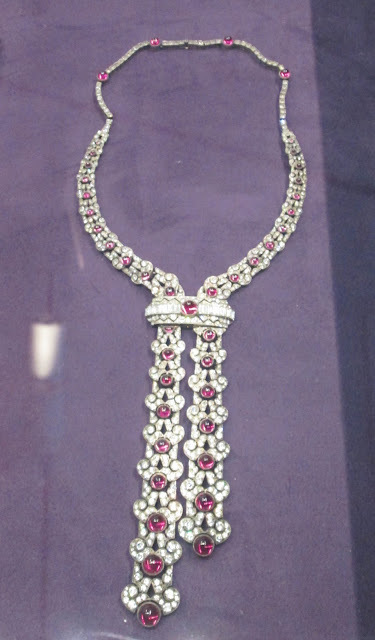 French paste necklace from 1925. I fell hard for this one. She talked of falling in love with what she’s buying, saying, “It spoke to me,” or that the purchase was a coup de coeur, instantly striking her heart. Which is great shopping advice whether you are considering a piece for your collection or just adding a new blouse to your wardrobe. If you do not love it, you should not buy it! 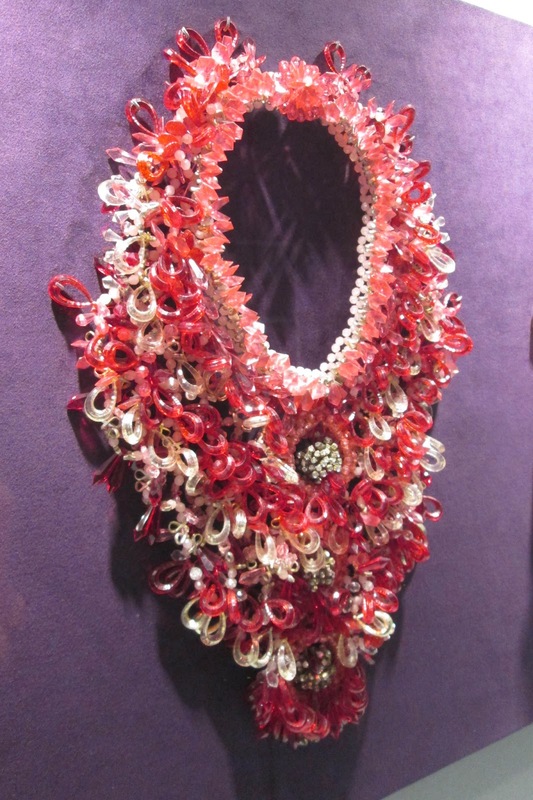 A 2000 necklace by Dolce & Gabbana. 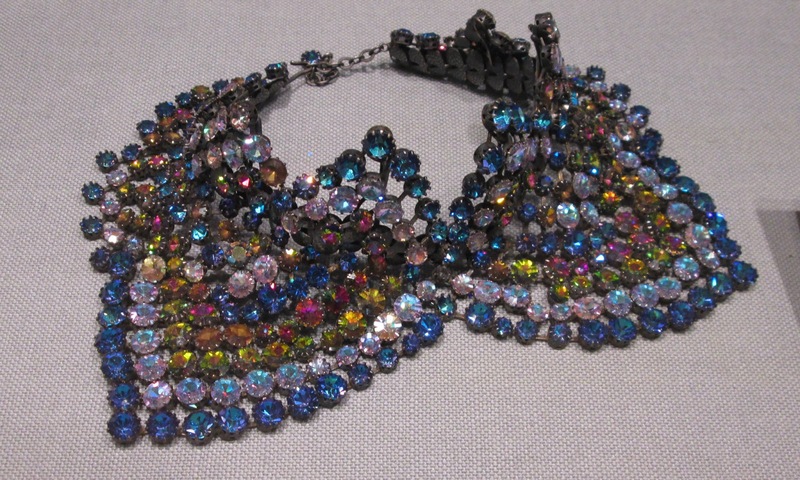 A wild necklace attributed to Emilio Pucci, 1960, made by Coppola e Toppo. 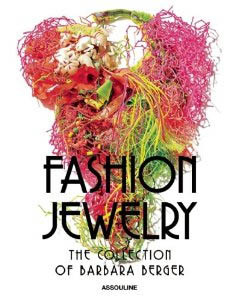 Fashion Jewelry: The Collection of Barbara Berger is on view at The Museum of Arts and Design until January 20, 2014. If you’d like to learn even more about Barbara and her collection, there is a book that accompanies the exhibit. Thank you for this and your fast writing! I love, love vintage jewellery and certain pieces really do jump out above others. I'm not near any of the flea markets she mentions :-) and make do with ebay and my local second shops. Over the years I've realised there are certain types of pieces that work best for me ie bracelets tend to be smaller and certain stones just look nicer. Great post, and I bought the book, beautiful. As to collecting anything, and I have made some of my own over the course of my life, unless you have a lot of money one good thing is to collect what you love when nobody else does. Stunning Jill...I looked at that first picture for a long, long time! Excellent post and the book looks great! Also that first necklace must look like an angel's wings hanging around your neck. They are all so fancy...I can't imagine wearing any of them. And it is hard to believe they aren't heavy. The first Chanel one is unbelievable and looks like something the Mafia would use to weigh someone down (I am sure Ms. Chanel and/or Ms.Berger would very much mind me saying so). I am not much of a collector but if I decided to start one, and I had the funds, I would start a collection like Barbara's. Those pieces are just stunning! Once again, a very wonderful post, dear Jill! I love costume jewelry, the pieces you chose are very interesting and fun to look at. I think I'll get the book. Jill thank you for sharing this fabulous collection... I am in awe... especially of the Pucci piece! Costume Jewellery is very much popular as the party wear. For any type of party specially night party we are prefer to go for the costume jewellery. Those are comes with gorgeous and stunning looks. So enhances your looks with perfect costume jewellery. 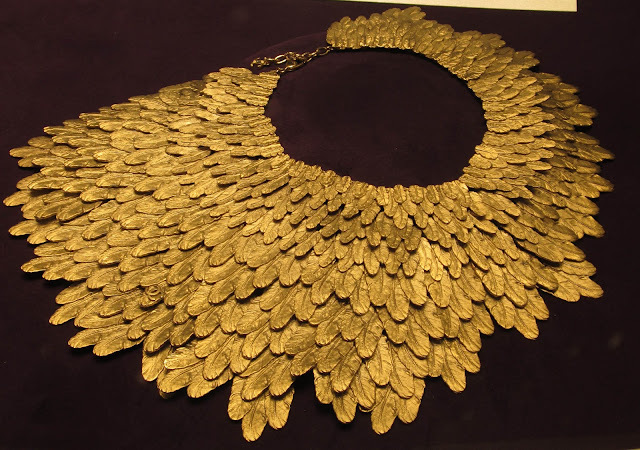 Nice blog on costume jewelry collecting tips. I am unable to read articles online very often, but I'm glad I did today. 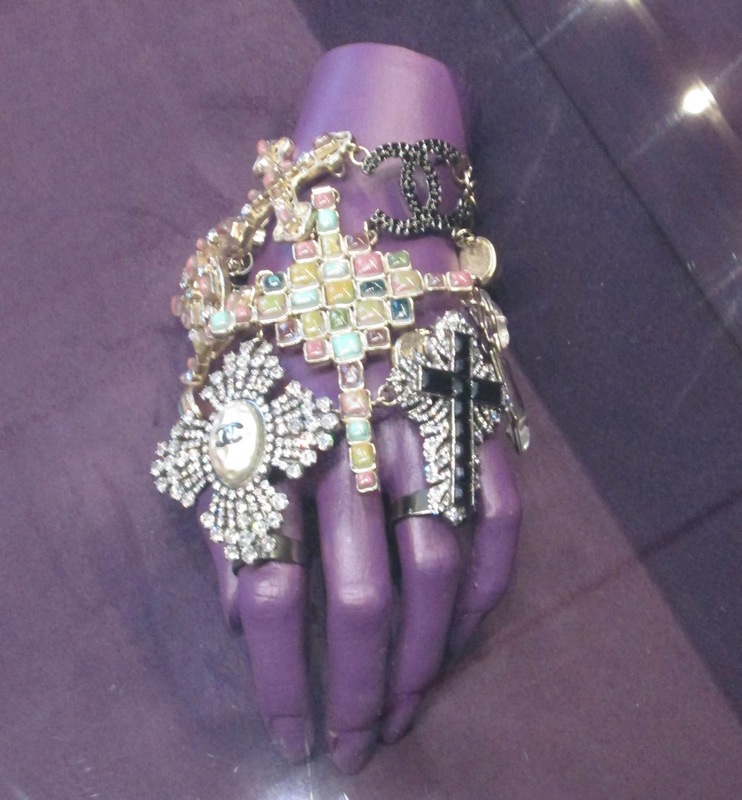 It is a nicely informative article in fashion, traditional & costume jewelry ranges, I have ever read. Thank you. Wow, each one of this is such a unique and trendy costume jewelry piece. Absolutely loved them. “fascinating” and “unusual”, enlivening her natural looks, absolutely “a dream come true” for her! jewelry, presents stunning jewelry with its luminous display of various colors, definitely makes any evening or casual outfit most elegant with facets shimmering in the candle light. First Cosume Jewellery is Beautiful..